Ubuntu 17.04 Zesty Zapus y derivadas ya están disponibles para sus descargas incluìda la nueva Ubuntu Budgie. 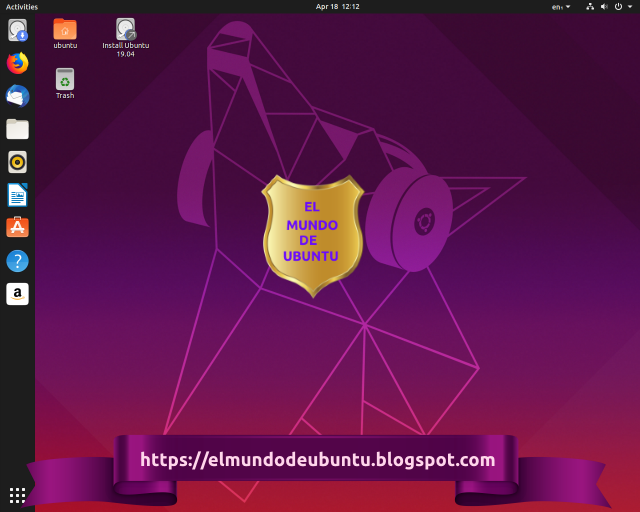 Como es típico dentro de Ubuntu, la versión correspondiente al mes de abril ya ha sido liberada, lo que significa que ya podemos tener en nuestro ordenador Ubuntu 17.04 o también conocida como Ubuntu Zesty Zapus. Esta versión trae bastantes mejoras y novedades aunque lo cierto es que su interés se ha centrado en Unity 7 y Gnome debido a la polémica que durante los últimos días ha creado Canonical y Mark Shuttleworth. La nueva versión está disponible para su descarga, pero no es la única versión disponible ya que también los sabores oficiales han lanzado su correspondiente versión. Unity 7 ha recibido algunas actualizaciones menores para su funcionamiento. No así ha ocurrido con Gnome que se ha actualizado a su última versión, Gnome 3.24, una versión que desde luego no veremos en Ubuntu 18.04. Junto a estos escritorios, Ubuntu 17.04 contiene el kernel 4.10 de Linux, un kernel estable y actualizado. También tenemos X.Org 1.19, MESA 17, Libreoffice 5.3 y Mozilla Firefox 52. Valorie Zimmerman has announced the release of Kubuntu 17.04, the latest update from the project which integrates an Ubuntu base system with the latest KDE Plasma desktop and applications: "Kubuntu 17.04 released. Code-named 'Zesty Zapus', Kubuntu 17.04 continues our proud tradition of integrating the latest and greatest open source technologies into a high-quality, easy-to-use Linux distribution. The team has been hard at work through this cycle, introducing new features and fixing bugs. Under the hood, there have been updates to many core packages, including a new 4.10-based Linux kernel, KDE Frameworks 5.31, Plasma 5.9.4 and KDE Applications 16.12.3. The Kubuntu desktop has seen some exciting improvements, with newer versions of Qt, updates to major packages like Krita, Kdenlive, Firefox and LibreOffice, and stability improvements to the Plasma desktop environment." See the release announcement and release notes for more information, screenshots, known issues and upgrade instructions. Download: kubuntu-17.04-desktop-amd64.iso (1,652MB, SHA256, signature, torrent, pkglist). Also available from OSDisc. The Xubuntu project, a community edition of Ubuntu featuring the Xfce desktop environment, has announced the release of Xubuntu 17.04. The new release features some applications and Xfce components which have been ported to GTK+ 3 and this release includes bug fixes for Mugshot along with a new mini-mode for the Parole media player. "Several Xfce panel plugins and applications have been ported to GTK+ 3, paving the way for improved theming and further development. Core Xfce libraries exo and libxfce4ui have also been updated with full GTK+ 3 support, the latter adding support for Glade development in Xubuntu with the installation of libxfce4ui-glade. The Greybird and Numix themes have also been refreshed with improved support for the toolkit. Camera functionality has been restored in Mugshot, Parole introduced a new mini mode and improvements for network streams, and a number of welcome fixes have made their way into Thunar and Ristretto. Simon Tatham’s Portable Puzzle Collection (sgt-puzzles), an addicting collection of logic games, has been included along with the new SGT Puzzles Collection." Further details can be found in the Xubuntu 17.04 release announcement and in the release notes. Download: xubuntu-17.04-desktop-amd64.iso (1,275MB, SHA256, signature, torrent, pkglist). Also available from OSDisc. Martin Wimpress has announced the launch of Ubuntu MATE 17.04. The new release, which features nine months of support, ships with MATE 1.18 as the default desktop environment. With this release, the distribution's MATE desktop has completed the transition from using GTK+ 2 libraries to GTK+ 3. "This is our favourite release of Ubuntu MATE so far and, we believe, a real return to form. Ubuntu MATE 16.10 was a transitional release, in every sense, and 17.04 concludes the upheaval of migrating to GTK+ 3. We’ve put a great deal of effort into refining Ubuntu MATE 17.04 in the following ways: the MATE team did an amazing job releasing MATE 1.18.0 which completes the transition to GTK+ 3, fixes countless bugs and introduces some much-needed new features and modernisations; Daniel Foré from elementary contributed new icons which deliver style and panache; Ikey Doherty from Solus created Brisk menu in collaboration with Ubuntu MATE; Dave from Linux & Other Stuff contributed a new dark theme called Ambiant-MATE Dark...." Further information and a list of changes can be found in the project's release announcement. Download: ubuntu-mate-17.04-desktop-amd64.iso (1,614MB, SHA256, signature, torrent, pkglist). Also available from OSDisc. Jeremy Bicha has announced the availability of Ubuntu GNOME 17.04. The new version of the distribution ships with version 3.24 of the GNOME desktop environment and will receive security updates for nine months. "The Ubuntu GNOME developers are proud to announce our latest non-LTS release 17.04. For the first time in Ubuntu GNOME's history, this release includes the latest stable release of GNOME 3.24. Although Ubuntu’s release schedule was originally centered around shipping the latest GNOME release, this had not been possible since GNOME 3.0 was released six years ago. Take a look at our release notes for a list of highlighted changes and improvements." The release announcement indicates this will probably be the final version of Ubuntu GNOME: "As announced last week by Ubuntu founder Mark Shuttleworth, Ubuntu 18.04 LTS will include GNOME instead of Unity. Specifically, it will be GNOME (including GNOME Shell) with minimal Ubuntu customization. Next year, if you are using either Ubuntu 16.04 LTS or Ubuntu GNOME 16.04 LTS, you will be prompted to upgrade to Ubuntu 18.04 LTS. As a result of this decision there will no longer be a separate GNOME flavor of Ubuntu." Download: ubuntu-gnome-17.04-desktop-amd64.iso (1,447MB, SHA256, signature, torrent, pkglist). Also available from OSDisc. Adam Conrad has announced the release of Ubuntu 17.04. The latest release of Ubuntu features nine months of support and security updates. The new release includes version 4.10 of the Linux kernel as well as driverless printing to supported devices. Support for 32-bit PowerPC computers has been dropped and new installations will, by default, be set up using a swap file instead of a swap partition for added flexibility. "Under the hood, there have been updates to many core packages, including a new 4.10-based kernel, and much more. Ubuntu Desktop has seen incremental improvements, with newer versions of GTK+ and Qt, updates to major packages like Firefox and LibreOffice, and stability improvements to Unity. Ubuntu Server 17.04 includes the Ocata release of OpenStack, alongside deployment and management tools that save DevOps teams time when deploying distributed applications - whether on private clouds, public clouds, x86, ARM, or POWER servers, zSystem mainframes, or on developer laptops." Further information can be found in the project's release announcement and release notes. The new Ubuntu 17.04 release is available in several different editions, including Desktop and Server flavours. Download (pkglist): ubuntu-17.04-desktop-amd64.iso (1,534MB, SHA256, signature, torrent), ubuntu-17.04-server-amd64.iso (685MB, SHA256, signature, torrent). Also available from OSDisc. The Ubuntu Kylin project, a member of the Ubuntu family developing a Linux distribution designed and optimised for users in China, has announced the release of version 17.04. In a surprise last-minute move (and as a result of the recent Ubuntu decision to scrap the Unity desktop), the Ubuntu Kylin developers have also discarded Unity and replaced it with a custom desktop called "UKUI" (based on MATE): "We are glad to announce the Release of Ubuntu Kylin 17.04 (code name 'Zesty Zapus'). In this release, the most noteworthy part is that we have launched a new desktop environment, UKUI, which provides a simpler and more enjoyable experience for browsing, searching and managing your computer. UKUI is a customized desktop based on MATE, redesigned with a brand-new start menu, control panel, desktop task bar, desktop theme and icons. Its main features include: a brand-new theme and icons; a quick start menu; easy-to-use control panel; extensible file manager. This release is based on 4.10 Linux kernel." Please consult the release announcement (in Chinese) and release notes (in English) for further information. Download: ubuntukylin-17.04-desktop-amd64.iso (1,638MB, SHA256, signature, torrent, pkglist). The Ubuntu Studio team has announced the release of Ubuntu Studio 17.04. The new release of this Linux distribution for audio, video and graphic artists offers the same package base as Ubuntu 17.04 and includes nine months of security updates. According to the release announcement, there are a few small changes in this new version, including swapping the system-config-printer-gnome utility with system-config-printer and the Krita drawing program has been added to the default installation. The Darktable software has been dropped from the 32-bit installation media. "We are happy to announce the release of our latest version, Ubuntu Studio 17.04 Zesty Zapus. As a regular version, it will be supported for 9 months. Since it’s just out, you may experience some issues, so you might want to wait a bit before upgrading. Please see the release notes for a complete list of changes and known issues. Changes in this release: system-config-printer-gnome replaced with system-config-printer; added pm-utils; Krita has been added back; Darktable is removed from 32-bit ISO image due to lack of upstream support." A list of changes and significant package versions can be found in the project's release notes. Download: ubuntustudio-17.04-dvd-amd64.iso (2,986MB, SHA256, signature, torrent, pkglist). Also available from OSDisc. Ubuntu es con creces la distribución Linux más conocida, y gracias a ella Linux se ha popularizado como nunca antes lo había hecho. Aunque Ubuntu está basada en sus orígenes en Debian, muchas distribuciones han decidido tomar Ubuntu directamente como referencia con algunos retoques, que en muchos casos mejoran el original. A las conocidas Kubuntu, Xubuntu o Edubuntu se le han unido en los últimos tiempos desarrollos que están pensados para ciertas tareas específicas, como la gestión multimedia o el trabajo científico. Te mostramos una lista de los principales sabores de Ubuntu. Oficialmente, las versiones de Ubuntu creadas y mantenidas por Canonical y la comunidad Ubuntu son la propia Ubuntu en sus tres sabores principales: Escritorio, Netbook y Servidor. Por otro lado, hay ciertas distribuciones basadas en Ubuntu reconocidas por la propia Canonical. Edubuntu: enfocada a la educación. Kubuntu: que utiliza el Escritorio KDE en vez del GNOME oficial. 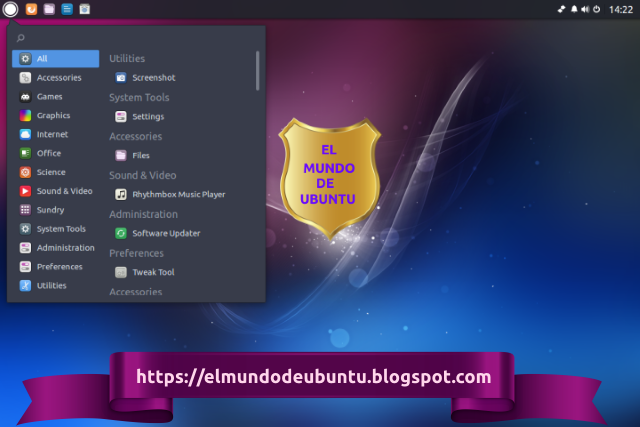 Mythbuntu: enfocada a usarse como centro multimedia usando MythTV. 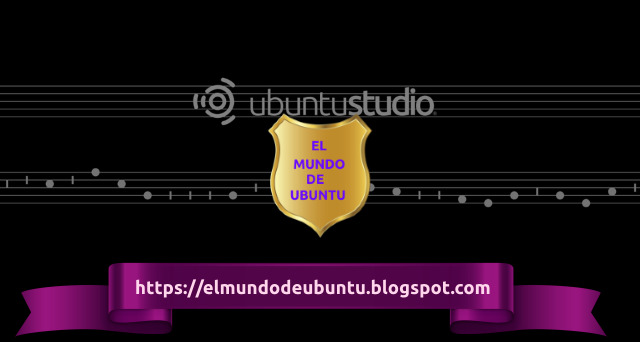 Ubuntu Studio: para la creación multimedia. Xubuntu: que utiliza XFCE en lugar de GNOME. Lubuntu: la incorporación más reciente, sustituye GNOME por LXDE. Linux Mint: es la principal distro derivada de Ubuntu, que con el tiempo se ha convertido en su principal rival. gNewSense: La particularidad de gNewSense es su apoyo de la Free Software Foundation, ya que utiliza únicamente componentes no propietarios. En un artículo anterior repasamos las distribuciones Linux más importantes desarrolladas en España y en Latinoamérica. 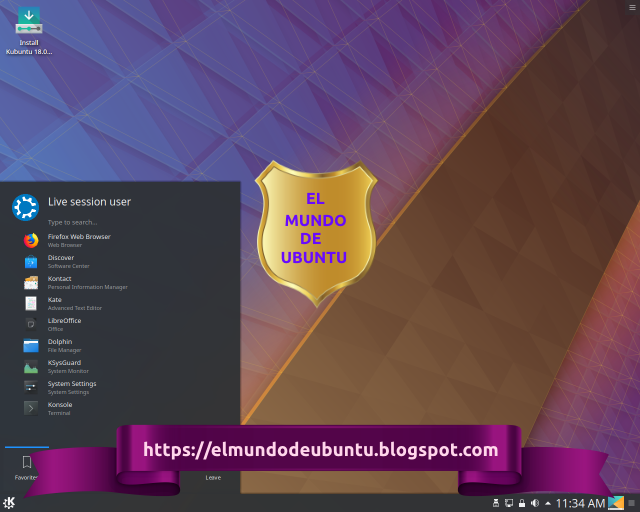 De ellas destacamos algunas que utilizan Ubuntu como base. ComFusion: Es el resultado de unir Compiz Fusion con Ubuntu. Guadalinex: Linux andaluz con el respaldo de la Junta de Andalucía. LULA: Es el acrónimo de Linux para Universidades LAtinoamericanas. MAX: La Comunidad de Madrid también tiene su derivado de Ubuntu. MoLinux: Con el soporte de la Junta de Castilla La Mancha. Trisquel: Linux con acento gallego. Estas distribuciones Linux derivadas de Ubuntu destacan sobre las demás por el cuidado especial en el Escritorio y en el aspecto gráfico, dotándolo de complementos que mejoran el trabajo realizado por la comunidad Ubuntu. A ello hay que añadir la gran cantidad de programas de los que carece Ubuntu por motivos de espacio, y que hacen a estos Linux únicos. Darwin OS: La evolución de Ubuntu. OpenGEU: Su Escritorio E17 transforma Ubuntu por completo. Pinguy OS: Una mano de pintura que remodela el Escritorio de Ubuntu. Shift Linux: Un toque oscuro a Ubuntu con programas nuevos. Ylmf OS: Ubuntu disfrazado de Windows XP. Zorin OS: Si te cuesta usar Ubuntu, esta distro te lo pone más fácil. Qimo: Ubuntu simplificado para que lo utilicen los más pequeños. Caine: Este Linux italiano está especializado en investigación forense digital. Por ello viene surtido de aplicaciones como Guymager, DC3DD, Autopsy, Foremost, Scalpel, Ophcrack y Fundl. CrunchBang: El caso de CrunchBang es el de reaprovechar equipos antiguos o con poca memoria. CrunchBang utiliza el entorno de Escritorio Openbox y aplicaciones menos exigentes a nivel de consumo de recursos. eAR OS: Con eAR OS podrás convertir tu PC en un centro multimedia, al estilo de XBMC o Mythbuntu, y reproducir vídeos, canciones e imágenes desde el televisor. LocuLinux: La distro más peculiar que hemos encontrado es LocuLinux, pensada para locutorios y cibercafés. Se puede instalar como cliente o servidor. Su Escritorio es bastante similar a Windows, para clientes que desconozcan Linux. Tango Studio: Al principio del artículo hemos hablado de Ubuntu Studio, un Linux para la creación multimedia. De Ubuntu Studio surge Tango Studio, especializada únicamente en la producción y edición de audio. ¿Utilizas alguna de estas distribuciones? Encontrarás una lista más completa aquí. Ya está disponible Ubuntu 15.10 “Wily Werewolf”. Ayer, Canonical publicó la versión 15.10 de Ubuntu, una de las distribuciones de Linux más populares (y que sirve de base para otras que también tienen gran cantidad de seguidores, como Linux Mint). La versión 15.10 se llama Wily Werewolf e incluye el kernel de Linux 4.2 y otras novedades de software (incluyendo un soporte mejorado para los chips gráficos de AMD), aunque por su cadencia bianual no hay demasiados cambios respecto de la versión liberada en abril último. También se actualizó el resto de las versiones ( Ubuntu MATE, xubuntu, kubuntu, etcétera). Los 10 artículos más leídos en El Mundo de Ubuntu en el mes de Abril de 2015. 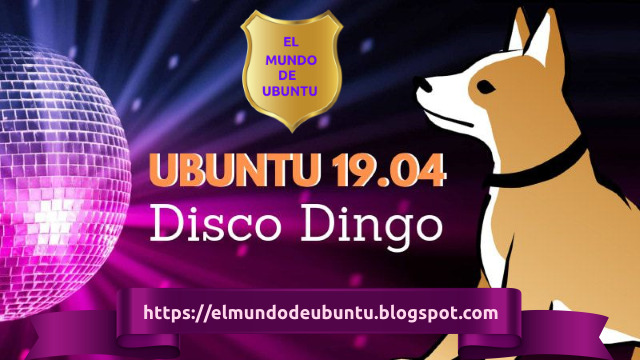 1.- Ubuntu 15.04 “Vivid Vervet” y todas sus derivadas ya están disponibles para descargar. 2.- Las novedades en Ubuntu 15.04 “Vivid Vervet”: reemplazo del sistema de inicio SysV por systemd. 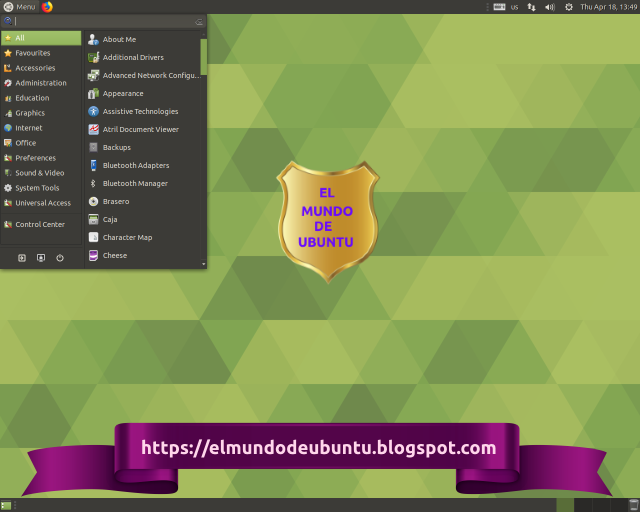 Ubuntu 15.04 “Vivid Vervet” y todas sus derivadas ya están disponibles para descargar. Canonical publicó ayer la más reciente versión de Ubuntu, una de las distribuciones gratis de Linux para PC más populares (según la compañía está en 25 millones de equipos). Es la 15.04 Vivid Vervet (el nombre ordinal alude al mono cercopiteco verde). E incluye cambios que no serán particularmente visibles para el usuario convencional, como el uso Unity 7.3, el entorno de escritorio que usa Ubuntu, y que en este caso recibe múltiples arreglos de errores menores, además de la posibilidad de hacer que los menús se vean en forma permanente, y de la incorporación de Systemd en vez de Upstart para cargar módulos durante el arranque. 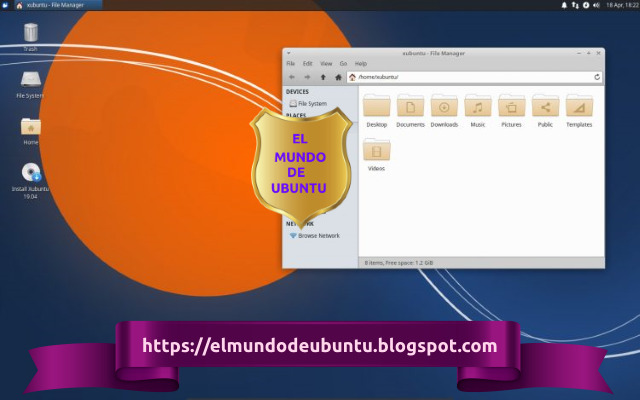 Ubuntu 13.04 disponible para descarga (Información de pantalla, video, tutorial). Se están notando las ventajas de optimizar el sistema operativo para dispositivos móviles con pocos recursos. El sistema consume menos Ram y se agiliza su utilización. Se ha reducido el uso de memoria que hacían algunos paquetes, cargando datos e imágenes CSS de GTK3, sólo cuando se necesitan. Se arreglaron problemas de memoria en los paquetes libdbusmenu, update-notifier, upower, whoopsie y otros más. Algunos procesos fueron modificados para que terminen si no se usan y se reinicien cuando se demandan, por ejemplo signond, signon-ui. Algunos procesos de Gnome, se configuraron apagados por defecto en el inicio. No se instala más las cuentas online de Gnome, que no eran utilizadas en Unity. Se optimizaron servicios de escritorio. En Ubuntu 13.04 ha desaparecido la opción que permitía mostrar aplicaciones sin indicadores en el área de notificaciones. "El sistema de indicadores ha existido por dos años ya, debería ser tiempo suficiente para que las aplicaciones lo adopten"
"Sus desarrolladores no saben necesariamente que Ubuntu existe"
Además de Java y Wine, Unity es compatible con cualquier aplicación Qt desde Ubuntu 12.04, ya que hay un componente que convierte cualquier icono de la bandeja de Qt en un indicador, sin necesidad de que los desarrolladores de aplicaciones en Qt tengan que hacer nada. Nautilus 3.6.3, con iconos monocromo para Lugares, Dispositivos, etc. Archivos recientes se incluyó en el sidebar y también Historial de conexiones anteriores en “Conectar con el Servidor”. Publicadas tambièn las versiones 13.04 de Lubuntu, Xubuntu, Edubuntu, Kubuntu, Ubuntu Studio, Ubuntu Kylin y Ubuntu Gnome. Stéphane Graber has announced the release of Edubuntu 13.04, an easy-to-use distribution targeted at schools, communities and non-profit organisations: "The Edubuntu team is pleased to announce the release of Edubuntu 13.04 (code name Raring Ringtail). This release will be supported for 9 months, it is intended for enthusiasts and users who would like to try out the latest and greatest software. What's New? New default packages: Klavaro - flexible touch-typing tutor, Krecipes - recipe manager and collection of recipes, Gramps - genealogical research program, Chemtool - chemical structures drawing program, Fritzing - easy to use electronics design software, Einstein - puzzle game inspired by Einstein's puzzle, VYM - mind-mapping tool, Bluefish - WYSIWYG HTML editor, Remmina - connect to various remote desktops including rdesktop." Read the release announcement for more information and screenshots. Download: edubuntu-13.04-dvd-amd64.iso (2,733MB, SHA256, torrent). Welcome to Ubuntu 13.04, the brand-new version of the world's most widely-used desktop Linux distribution: "Today's release of Ubuntu 13.04 on the desktop brings a host of performance and quality improvements making it the fastest and most visually polished Ubuntu experience to date. Performance on lightweight systems was a core focus for this cycle, as a prelude to Ubuntu's release on a range of mobile form factors. As a result 13.04 delivers significantly faster response times in casual use, and a reduced memory footprint that benefits all users. This release also illustrates Ubuntu's ongoing commitment to quality and dependability. 'Our kaizen approach to development as well as community engagement result in a high quality alternative for people worldwide,' commented Jane Silber, CEO at Canonical." See the brief press release and check out the detailed release notes to learn more about the product. 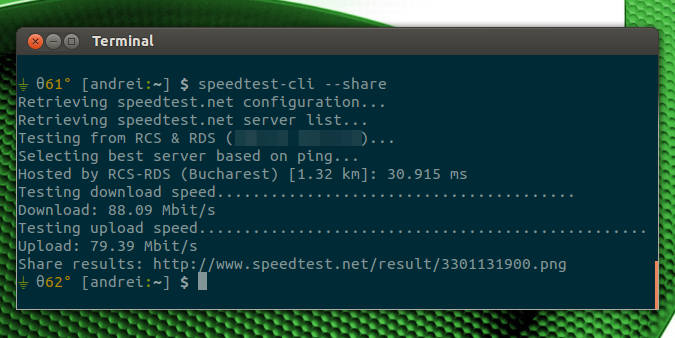 Download: ubuntu-13.04-desktop-amd64.iso (785MB, SHA256, torrent). Jonathan Riddell has announced the release of Kubuntu 13.04, a desktop-oriented Linux distribution featuring the intuitive and customisable KDE desktop: "Welcome to Kubuntu 13.04, a brand new version with the latest KDE software to enjoy. Highlights: the current release of KDE's Plasma Workspaces and Applications 4.10 adds a new screen locker, Qt Quick notifications, colour correction in Gwenview and faster indexing in the semantic desktop; new version of the Muon Suite for application install and upgrades; version 2 of our Reconq web browser adds a bunch of new features, such as inline spell check, new incognito mode, pinning tabs, improved error page and simplified Rekonq pages; Homerun - a full screen alternative to the Kickoff application menu; a new screen management tool...." Here is the full release announcement with screenshots. Download: kubuntu-13.04-desktop-amd64.iso (928MB, SHA256, torrent). Pasi Lallinaho has announced the release of Xubuntu 13.04, a desktop Linux distribution featuring the lightweight Xfce desktop environment: "The Xubuntu team is glad to announce the immediate release of Xubuntu 13.04. Xubuntu 13.04 will be supported for 9 months and will need other media such as a USB device or a DVD to install. What's new in Xubuntu 13.04? Xubuntu 13.04 is mostly a maintenance release, and there aren't many new features. However, there are some changes, which include: Gnumeric and GIMP are reintroduced on the ISO image; new application versions - Catfish 0.6.1 and Parole 0.5.0 with many bug fixes; updates for the Greybird theme and a new wallpaper; duplicate partitions are no longer shown on desktop or Thunar; updated documentation. Starting with 13.04, the Xubuntu images will not fit on standard CDs. This is an effect of changing the target size to a 1GB USB device." Here is the brief release announcement. 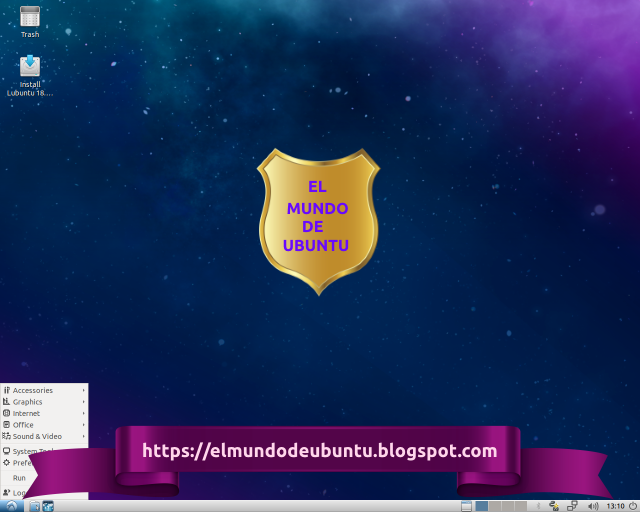 Download: xubuntu-13.04-desktop-amd64.iso (801MB, SHA256, torrent). Kaj Ailomaa has announced the release of Ubuntu Studio 13.04, a specialist distribution dedicated to media creation and featuring a large collection of multimedia software: "A new release of Ubuntu Studio is out. This release marks a turning point as it will only be supported for 9 months. For the past two releases, we've been experiencing some bugs with both Jack and PulseAudio. Since 13.04 includes newer releases of Jack and PulseAudio, the bugs are no longer present. And while Jack has been fixed in all releases recently, PulseAudio is still causing problems in 12.04 and 12.10, but the fix is under way. For this release, the menu has seen some polishing, including new icons and a slightly improved disposition. The organization of the menu is something that goes beyond the Xfce menu and will benefit any distro in the long run." Read the full release announcement for further details. Download: ubuntustudio-13.04-dvd-amd64.iso (801MB, SHA256, torrent). Mario Behling has announced the release of Lubuntu 13.04, a desktop Linux distribution with the lightweight but full-featured LXDE desktop environment: "Lubuntu 13.04 is now available. Features: based on the lightweight LXDE desktop environment; PCManFM, a fast and lightweight file manager using GIO/GVFS; Openbox, the fast and extensible LXDE window manager of LXDE; LightDM; Chromium, the open-source version of Google Chrome; based on Ubuntu 13.04. Improvements since Lubuntu 12.10: new version of PCManFM (1.1.0) including a built-in search utility; artwork improvements, including new wallpapers, community wallpapers, new icons; removed Catfish, since PCManFM has its own search utility; fixed a very old bug causing GNOME MPlayer to crash with some CPUs; several fixes for the GPicView image viewer." The release announcement. Download: lubuntu-13.04-desktop-amd64.iso (693MB, SHA256, torrent). Matthew Butler has announced the release of Ubuntu GNOME 13.04, an official Ubuntu project featuring the vanilla GNOME 3.6 desktop environment: "The Ubuntu GNOME team is proud to announce our first release as an official Ubuntu derivative - Ubuntu GNOME 13.04. Ubuntu GNOME aims to bring a mostly pure GNOME desktop experience to Ubuntu. Keeping in coordination with the Ubuntu Desktop Team, we have decided to stay with GNOME 3.6 for the 13.04 release. What's new? Firefox has replaced GNOME Web (Epiphany) as the default browser; the Ubuntu Software Center and Update Manager have replaced GNOME Software; LibreOffice 4.0 is available by default instead of AbiWord and Gnumeric. For those excited about the latest version of GNOME, we do maintain the GNOME 3 PPA to catch an early look at GNOME 3.8." Read the rest of the release announcement for information about upgrading to GNOME 3.8 and known issues. Download: ubuntu-gnome-13.04-desktop-amd64.iso (942MB, SHA256, torrent). Jack Yu has announced the release of UbuntuKylin 13.04, a variant of Ubuntu localised into Simplified Chinese and thoughtfully customised to suit the tastes and habits of Chinese users. Some of the features of this release include: "UbuntuKylin theme and artwork; Unity music scope for China - convenient music search in the Dash that helps you find the latest, hottest Chinese songs; China weather indicator - accurate weather information for cities in China with air pollution index; Chinese calendar - an easy-to-use, authoritative Chinese calendar containing the traditional lunar calendar and facilitating inquiries about public holidays familiar to Chinese users; fcitx is used as the default input method supporting cloud Pinyin input and intelligent word association; WPS for UbuntuKylin...." See the release notes in English or Chinese for further information and screenshots illustrating the features. Download: ubuntukylin-13.04-desktop-amd64.iso (844MB, SHA256, torrent).